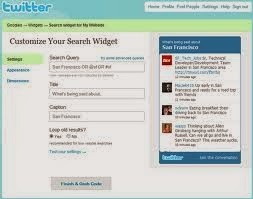 Twitter users able to create timeline, favorites and listings widgets for theirself. It’s easy to create and you will able to paste these widget codes to anywhere you want on the web. (You can generally use these widgets in PHP, HTML or ASP based sites. They are very useful widgets and you will able to publish your thoughts in your web page too. How To Get These Widgets? If you want to create a timeline widget. You should go through HERE and click on a “Create New Widget” button. The first thing you will see is a widget settings for timeline. Set the features of your wigdet in this page and click on “Create Widget” button. That is all you have to do. If you don’t want to have problem with your CSS, you should be careful about seize of your widget. If you want to create a favorites widget fo through https://twitter.com/settings/widgets/new/favorites and set your features in the page. Then “Create Widget button and that’s all. You can use the same thing for listing widget. You should use listing widgets about certain stuffs generally. 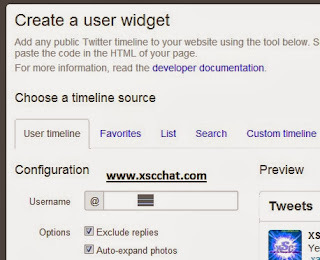 Because in listings widget there will be twitter account of people or organizations. E.g. : You have a web page about soccer and one of your pages about Norwegian Football Teams. You want your visitors to know about these teams twitter page. You should find Norwegian football teams twitter accounts and add them to your list as “Norwegian Football Teams” and get a widget code from Twitter and paste it your page about Norwegian Football Teams. It’s easy and simple but you need to work for a little bit to do that.